Two of the debutant teams from VIVO Pro Kabaddi Season 5 will go head-to-head when Zone B’s U.P. Yoddha take on Zone A’s Haryana Steelers at the Thyagaraj Sports Complex in Delhi. U.P. 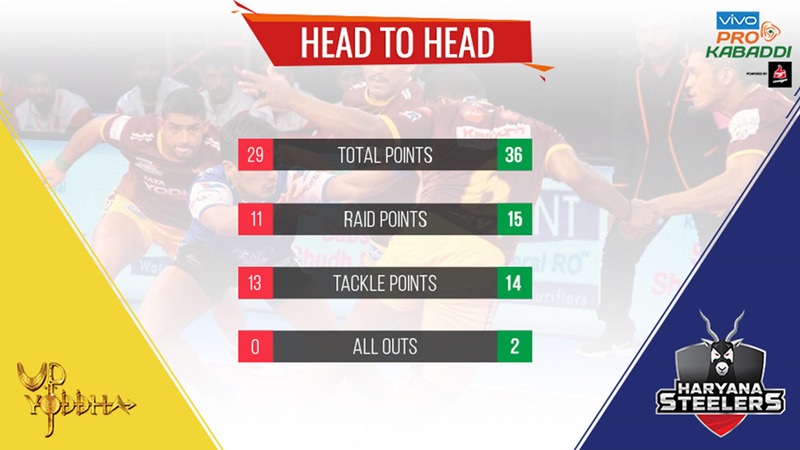 Yoddha trail third-placed Bengal Warriors by 14 points having played two more games while Haryana Steelers are 18 points behind Dabang Delhi K.C. with one game in hand. 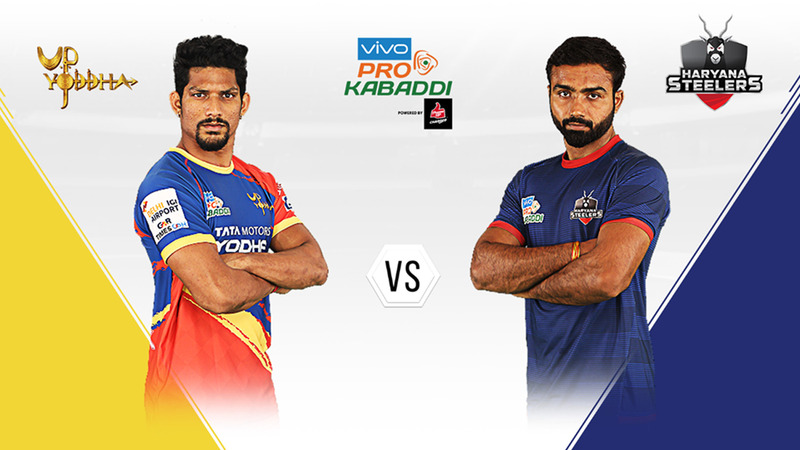 Both teams have hopes of making it to the Playoffs and a defeat for either side would serve as a blow to their challenge. 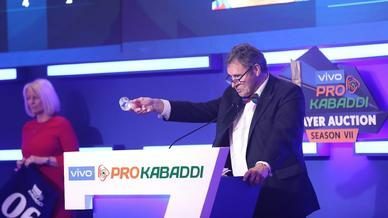 The two teams have faced off only once in VIVO Pro Kabaddi history where Haryana Steelers came out on top by a scoreline of 36-29. Nitesh Kumar’s form has been a silver lining for U.P. Yoddha in this campaign. The Right Corner currently ranks third in the league in tackle points and fourth in average tackle points. Kumar also ranks joint-second in the league in Super Tackles with six. His 33 assists are the third-most for a U.P. Yoddha player this season, which is an indication of his all-round contribution in defence. Kumar has been the league’s best Right Corner in terms of tackle points and U.P. Yoddha will be hoping that he can continue in the same vein for the remainder of the campaign. 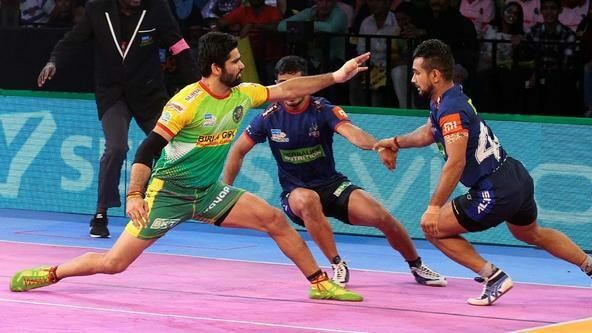 Vikash Khandola’s exemplary form has kept Haryana Steelers in the hunt for a Playoffs spot. His 136 raid points place him 6th in the race for Best Raider and he has scored them at a healthy average of 8 raid points per game. Khandola’s rise has been one of the stories of the campaign and the raider continues to impress with his tremendous explosiveness, agility and strength on the mat. U.P. 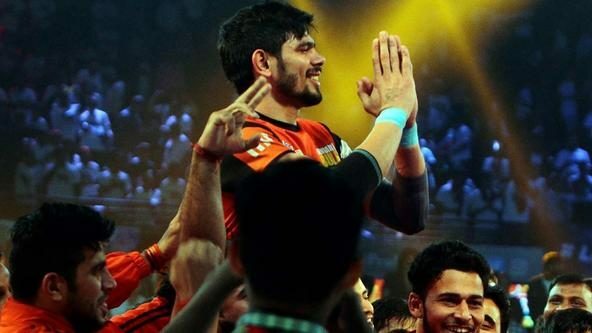 Yoddha’s lead raider Shrikant Jadhav has enjoyed a career-best campaign in Season 6 of VIVO Pro Kabaddi. Jadhav has already surpassed his tally from the previous campaign and broke the 100-point barrier for the first time in his career. He has also been very effective in Do-Or-Die situation, having scored 27 points- the third best tally in the league. 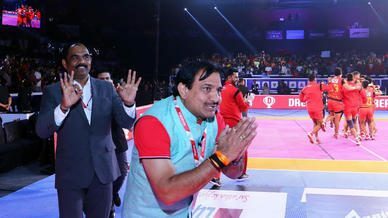 Teenager Sunil has been a revelation in the Right Corner position for Haryana Steelers in VIVO Pro Kabaddi Season 6. He ranks second among all Haryana Steelers players in tackle point with 33 but leads them in assists with 27. At just 19, Sunil is a star in the making for Haryana Steelers and they will be hoping he can perform well against a U.P. Yoddha side that boasts of two excellent left raiders in Jadhav and Prashanth Kumar Rai.